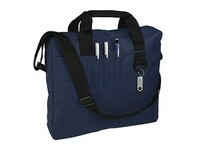 Slim briefcase with organizer pockets on the front panel, D-ring, shoulder strap and hand carry. Packaged per 50 pieces. 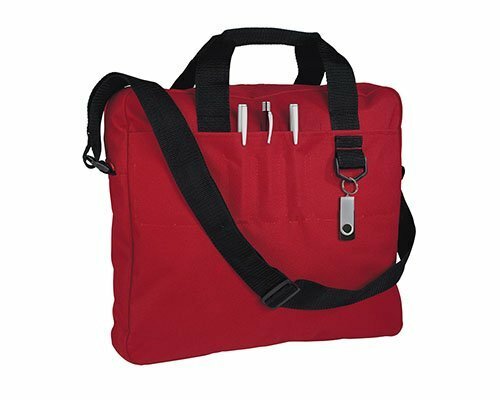 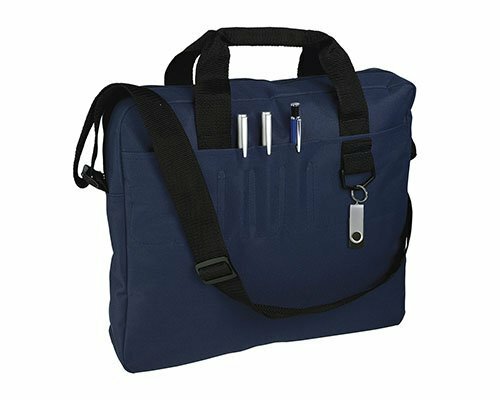 Description: Slim briefcase with organiser pockets for pens on front panel, D-ring to attach your keys, adjustable and detachable shoulder strap and hand carry.